We all want to get the most items and best value from our shopping exploits. Whether we are buying groceries or buying a new car. With fireworks becoming increasingly popular for all types of celebrations from Weddings, Birthdays and BBQ’s to the more traditional Guy Fawkes or Bonfire Night, Diwali and New Years Eve Celebrations. Buying Fireworks is no different. So how best to save money on fireworks? Well, there are several ways to grab yourself some firework bargains. Make sure you are signed up to receive free newsletters, social media accounts and emails from your chosen firework companies. 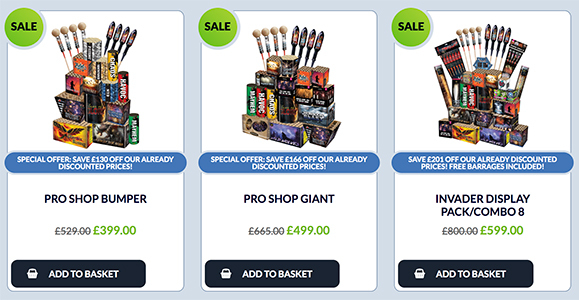 Many firework retailers can offer you a variety of great fireworks bargains and discount codes. This will help you save money on fireworks and hopefully entice you to purchase from their website. Try to spread the cost of buying your fireworks throughout the year. This will mean not paying out in one big lump. Many all year round UK firework retailers will do promotions. From the likes of early bird buying discounts, spring sales, and summer promotions. This helps them to clear old stock lines, ready for new stocks to arrive. These type of promotions can help you save £££’s with fireworks being reduced sometimes to half price or more. Helping you get great firework bargains. Many firework shops will offer better deals on bulk buy items such as sparklers or wax torches. With the more items, you buy the better the firework saving that becomes available. You can also buy discounted display firework packs, which offer you a variety of roman candles, rockets, cakes and barrages with a big saving. Similar to bulk buy deals the larger the firework pack you buy the bigger the saving. So whether you are planning a charity firework event or just lots of friends round bulk buy deals and firework packs are a great way to save money on fireworks. 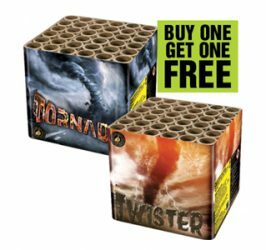 With so many different types of special offers available, it is a must for anybody wanting to get the most fireworks for their money to take advantage off. 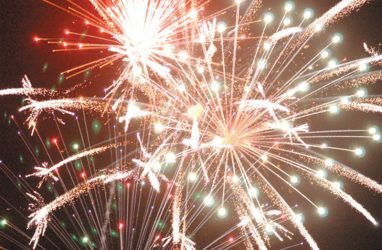 With firework special offers such as Buy One Get One Free Fireworks, Half Price Fireworks, Discounted Firework Prices and Firework Combos you can really some bargain fireworks UK wide. Invite over friends and family to attend your display and why not ask them to bring a firework. Rather than spending hundreds of pounds just by yourself. Get everybody involved to help out and buy one large firework. So between you, you’ll end up with a vast selection of larger big fireworks for your money. You can always shop around for your fireworks and search for cheap firework. But you may miss out on firework savings from staying with the same firework retailer. Lots of firework shops offer FREE delivery, additional FREE FIREWORKS or safety training course placements for the likes of schools and charity events when spending over a certain amount. Again by spending more money with one specific retailer they may be willing to offer you a better deal on your chosen fireworks. So however you choose the save money on fireworks, we recommend you buy directly from a reputable and established firework company, and know that you don’t need to break the bank to create a stunning and memorable firework celebration.